Following President Barack Obama’s 2014 announcement of new relations with Cuba, a group of interested U.S. Citizens approached Holly Block aboutcommissioning a faithful replica of Anna Hyatt Huntington’s monumental Central Park sculpture of José Martí to be presented as a gift to the Office of the Historian of the City of Havana, Cuba, for permanent display in Havana’s historic colonial district in Old Havana. The museum agreed enthusiastically. We were fortunate to get early support from the city of New York. Mayor DeBlasio worked with the Parks Department to write a proposal to the Public Design Commission who approved the request on June 2nd 2015. The Replication of the Sculpture was a six-part project. In late September Direct Dimensions, a digital engineering firm in Maryland, came to Central Park to scan the sculpture. Direct Dimensions spent three days using two cherry pickers. They used two scanning methods to build a scalable 3D model. A circular scan was obtained by using a small maneuverable camera placed on the end of long rod and then controlled through a feed to an iPad. They photographed the sculpture from all angles and then stitched together a model using the software Agisoft Photo-Scan. Then they used the Artec Eva, a hand scanner that creates accurate textured scans, to fill in the detail of the sculpture that was missed by the circular scan. This method needed to be done at night due to the interference of sunlight. Direct Dimensions then edited these scans and produced the master surface model that was used for replicating the sculpture. 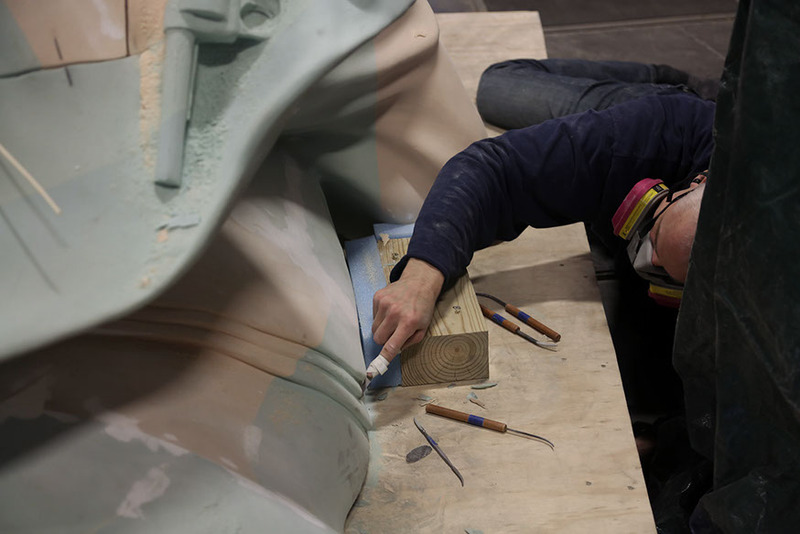 Digital Ateliers in Hamilton, New Jersey used 5-axis and 3-axis milling machines with a rotating bit that went over a block of foam and articulate the resolution of the surface to carve a 1:1 foam copy of the sculpture using the scan data. Due to the size of the sculpture, it was sectioned for shipping logistics and mold making. These pieces weren't assembled until the end. The pieces were transported to KC Fabrications in Gardiner, NY. Master Sculptors spent approximately two months embellishing the detail of the foam model. Using traditional techniques and reference photographs the sculptors covered the entire surface with the tool marks and textures present in the original that the 5-axis milling machine missed. 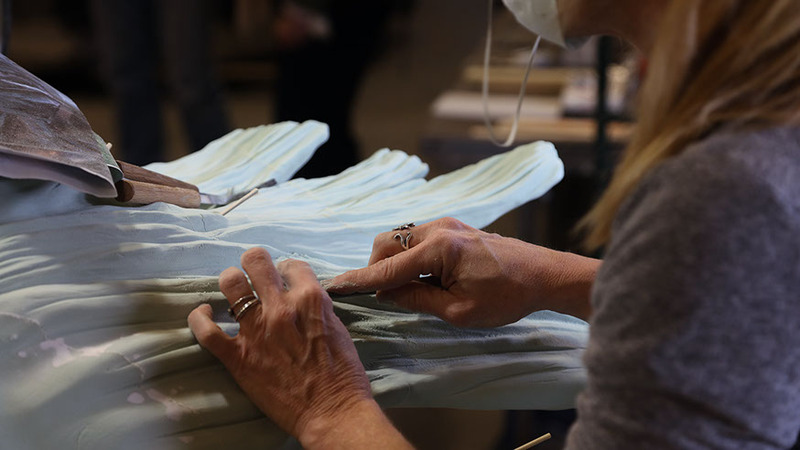 The sections of the model were layered in clay and covered a silicon mold with a plaster outer layer was made. The molds were transported to the Beacon Fine Art Foundry for mold making and the traditional lost wax ceramic shell bronze casting. Molten wax was poured in each silicon mold to make a thick wax positive. Veins were added to the wax model to be used as paths for the molten medal. The wax was covered in silica – like plaster – and caked with sand-like stucco, creating an outer shell. This model was heated, solidifying the outer shell and melting the wax, leaving the shell empty. The shell was heated in a kiln and the bronze was poured inside it. Then the shell iwas broken off and the rough piece remains. 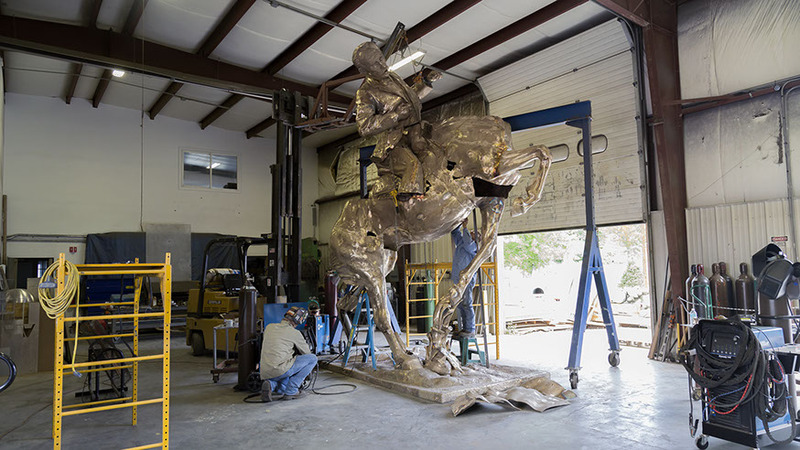 The newly casted bronze pieces were taken back to KC Fabrications and were welded and assembled. The assembled sculpture and patinated it so it appears identical to the original. The patination protects the sculpture from weather conditions. 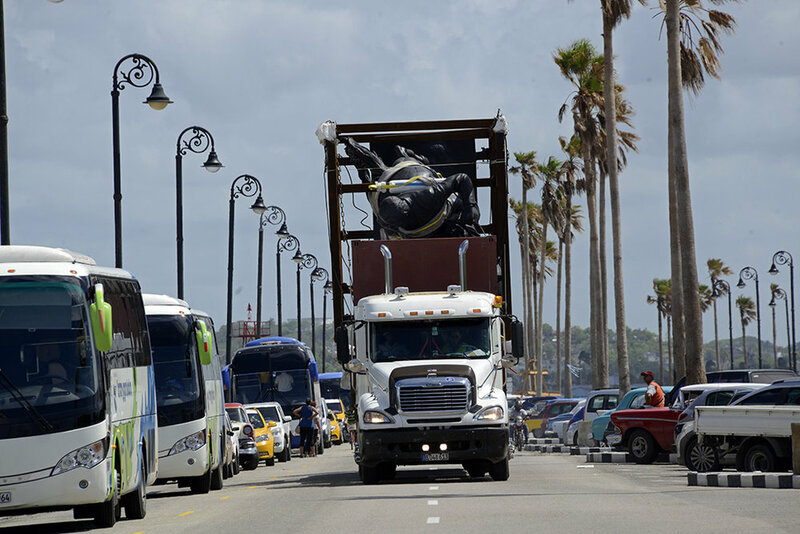 In early October 2017, the finished sculpture was shipped to Havana and installed in Parque Central in Habana Vieja. On January 28th 2018, the 165th anniversary of José Martí's birthday, the sculpture was dedicated to people of Cuba. The original sculpture of José Martí was the last major work of sculptor Anna Hyatt Huntington, executed when she was 82. In 1956, it was presented as a gift to the Cuban government for presentation to the people of New York City. 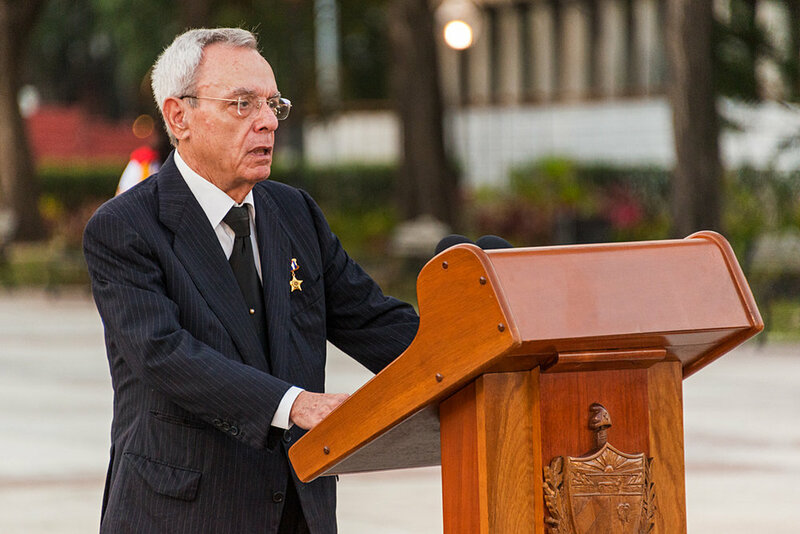 The Cuban government under their dictator Fulgenio Batista donated the monument’s dark granite pedestal. Thus the statue represents cooperation between Cuba and the U.S. in remembering the Cuban humanist who lived in New York and died fighting for Cuban independence. But the sculpture’s provenance only grew more complex. 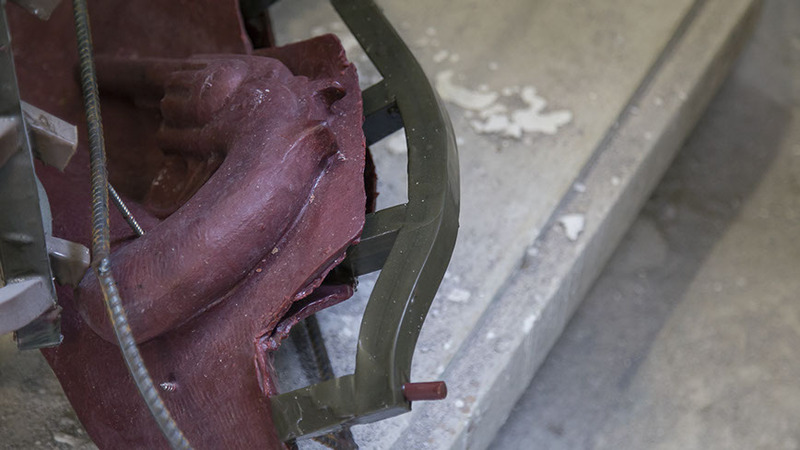 The Cuban Revolution occurs as the sculpture is being created, but before it can be installed. New York City Parks Department attempted to contact Cuban officials for months before the installation. But, they never got a response. The State Department confiscated the sculpture, fearing that “serious trouble would develop if we placed the statue at this time.” In effect, they delayed the installation in the “hope for improvement in the Cuban situation.” Mrs. Hyatt-Huntington would have people over to her studio to show them the plaster model as she didn’t know where the final one was being kept. The sculpture was eventually placed in Central Park, at 59th Street and the Avenue of the Americas, but the symbolic gesture of goodwill and fraternity between nations was lost. José Marti’s life story and Anna Hyatt Huntington’s sculpture depicting him on horseback at the moment of his death in battle in Cuba in 1895 are symbolic representations in a long history of exchange between the U.S. and Cuba in the arts, architecture and design. With the goal of utilizing the arts as a platform for promoting cross-cultural understanding between residents of the U.S. and Cuba, The Friends of José Martí Sculpture Project is completing a long overdue gesture of peace uniting both countries. By creating a replica to present to the City of Havana, our project is a fitting complement to the monument’s unique history.